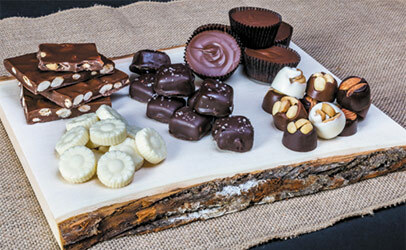 Yes, our chocolates are all handmade at our manufacturer in Freeport, New York, or in your local store. Where are the chocolates made? While our base chocolate is originally shipped from Belgium, which is considered by many to be the finest chocolate, it is molded into the final product at our manufacturer in Freeport, NY. 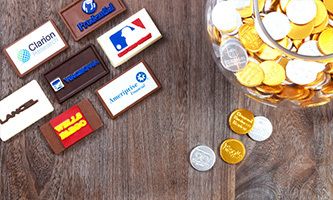 Where can I find Chocolate Works products? Chocolate Works can currently be found at any of our locations. Click Here to find a store near you. For optimum quality, we recommended consuming Chocolate Works’ chocolates within a year of purchase. 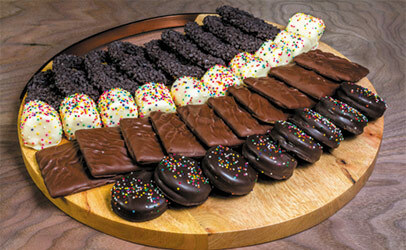 Chocolates containing cookies, graham crackers or pretzels have a shelf life of 3-6 months. Storing the chocolates in cool, dry places under 70 degrees Fahrenheit will help persevere the chocolates. Avoid direct sunlight, as it will damage the chocolate. Do you do wedding or party favors? 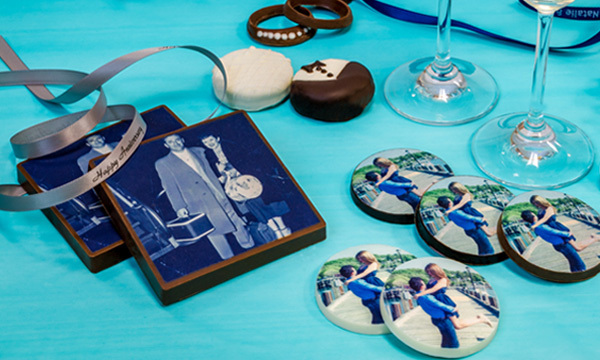 Yes, our chocolates make great favors and can be customized for your wedding, party, or any other event. 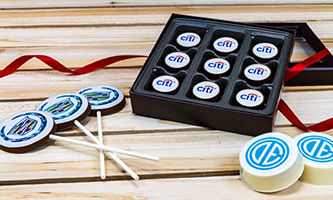 Click Here to read more about using our chocolates as favors. Is there any extra fee on Custom Orders? Yes, there can be personalization fees and/or a one-time mold/set-up fee that applies to some custom orders. For more information about custom orders please contact us by phone at (516) 868 -8070 or email us at orders@ChocolateWorks.com. The product I received was not as pictured on the website. Why is this? We aim to provide the specific products as shown on the website. However, on occasion, substitutions of equal or greater value may be necessary. What are sugar papers and what is the distinction between your sugar papers and other company’s transfer sheets? 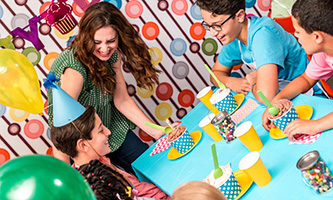 Our sugar papers are 100% edible sugar paper with edible food coloring. We use a photographic full color process to create the image, whereas transfer sheets limit the number of colors to 1-4 colors that can be used as well as the surface to which they can be applied. Can you taste the sugar paper layer when it is applied to chocolates? No, you cannot taste the sugar paper. 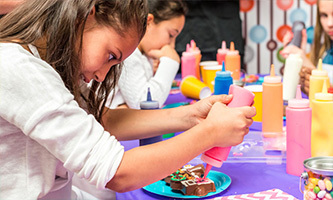 Currently, there are other products on the market that utilize a design applied on a ¼ inch of sugar or fondant, which is very noticeable when bitten into. Our product is paper-thin and has no discernible taste to distract from the delicious chocolate underneath. What images can I print? You only have the options to print images that you own and have rights to. This means, you cannot print logos for companies or characters that have trademarks, such as Disney Characters or Sports Team’s logos. By submitting your images, you are consenting that you own the image. Legal actions could result from unlawful printing of third party images. In the event Chocolate Works is contacted by the owning party of the submitted image, aforementioned owner will be directed to you for further questioning regarding the illegal use of the image(s) in question. For more information on what you can print, please call us at (516) 868-8070 or email us any inquiries. If we have any questions regarding the right of an image, we may contact you to sign a document to verify you own the rights to reproduce the image. This may cause delays in your order fulfillment. What image resolution do I need to make high-quality prints? The higher the resolution the better. However, today's megapixel or better cameras are fine for most print sizes. It's also important to note that the quality of the photography strongly affects the quality of the prints. Well taken shots with proper lighting, white balance and focus, can yield great prints even at sub resolutions. Shots taken in poor conditions can result in unhappy prints, even if the pictures are high resolution. Can I print scanned pictures? Yes. After you scan the photo you need to save them as, or convert them to, JPEG format. We recommend that you scan at 300 dpi or higher. More importantly, when you save as, or convert to JPEG, you need to keep the JPEG quality high (i.e., minimize the JPEG compression). This will keep the high color depth that is needed for great prints. The resulting files will be larger, but the resulting prints will more closely match the original picture. *Please note: we cannot guarantee color matching as it is a food product. 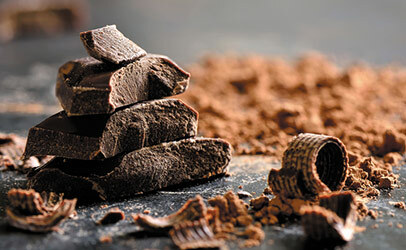 Yes, chocolate contains small amounts of caffeine in the cocoa powder. One ounce of dark chocolate has about 20 milligrams of caffeine, or 0.07% by weight. One ounce of milk chocolate has about 6 milligrams of caffeine, or 0.02% by weight. As a way of comparing, a 5-ounce cup of coffee has 47-164 milligrams of caffeine. What sweetener does Chocolate Works use in the Sugar Free Chocolate? The sweetener used in our sugar free line is Maltitol, to ensure the best quality and no taste difference in our chocolates. Do your products contain milk/dairy? 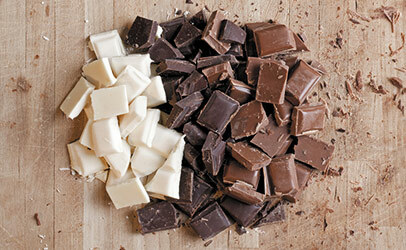 The milk, dark and white chocolate do contain dairy. Some of our products do contain nuts. However, all of our products are made in a facility that processes peanuts, tree nuts, milk, soy, and gluten. If you have any of these allergies, please take note. For further information or questions, please contact us by phone (516) 868-8070, or email us at: orders@ChocolateWorks.com. All of our chocolates that are produced at our facility in Freeport, NY are certified kosher by the Chicago Rabbinical Council (CRC) Click Here to see certificate. Several of our franchise locations also produce kosher products. Please let us know in the comment section of your order if you require your product to be Kosher. Which of your stores have a Kosher Certification? No, you do not have to set up an account to check out. However, registering for an account will save your preferences and help expedite your future orders. You can pay for an order with American Express, Discover, MasterCard and Visa. Are online prices different than in store pricing? Yes, online prices are different than prices of individual stores. Click Here for the description of our shipping policy and shipping related questions. If you are unsatisfied in any way with any of our chocolates, please contact us by phone (516) 868-8070 or email us at returns@ChocolateWorks.com, and we will work with you to make sure that you are content with your Chocolate Works experience. What is Chocolate Works’ Policy on Donation requests? Although we would like to honor all requests, Chocolate Works receives many solicitations for donations and promotions annually and unfortunately, we cannot accommodate everyone. As a result, we prioritize and make donations to select organizations that we often partner with or support. Although we cannot ship samples to you, our Chocolate Work locations frequently offer samples of our products to taste and enjoy! Stop in any location to try our chocolates. Click here to see a full list of our locations. Access to and use of the Chocolate Works’ website is subject to the terms and conditions herein described and all applicable laws. Chocolate Works reserves the right to update or modify these terms and conditions at any time without prior notice. Chocolate Works maintains its website as a service to current and potential clients. Chocolate Works will use reasonable efforts to include accurate and up-to-date information on its website, but makes no guarantees as to the accuracy of the said information. 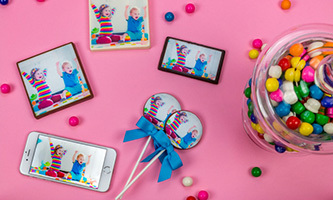 All material appearing on this site, including text, images, graphics, and/or other content, is the sole property of Chocolate Works and is not to be reproduced, copied, or distributed in any manner other than as governed by law.